Three back pockets(two back pockets for XS size). 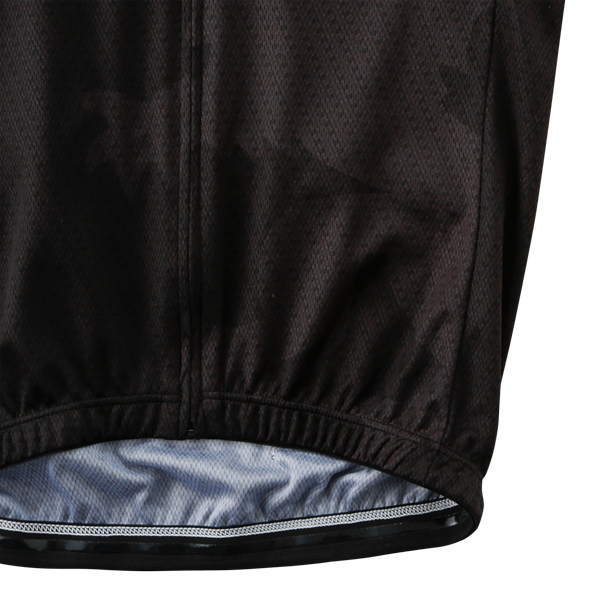 Light reflective back zipper pocket. 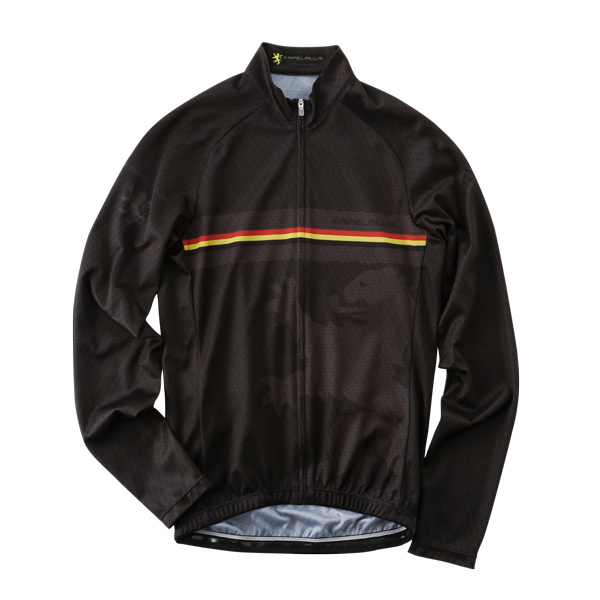 The moisture transmission fabric will keep your skin dry. 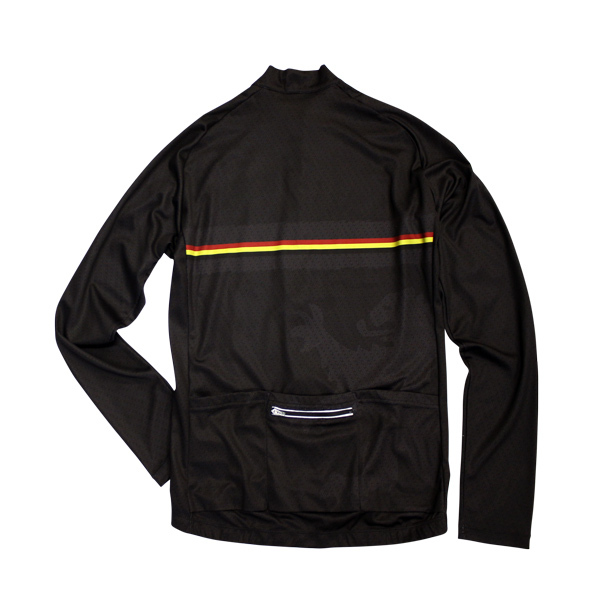 Stylish long-sleeve jersey with the Belgian flag color line on a dark background. 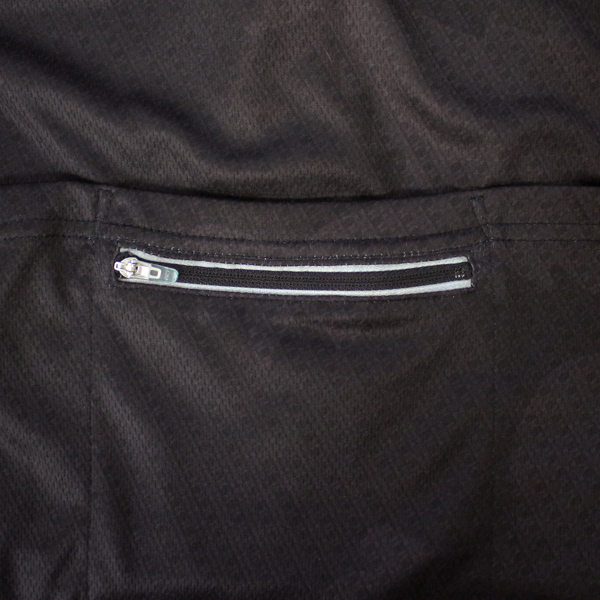 Three back pockets(Two back pockets for XS size)/Light reflective back zipper pocket for safety night ride. 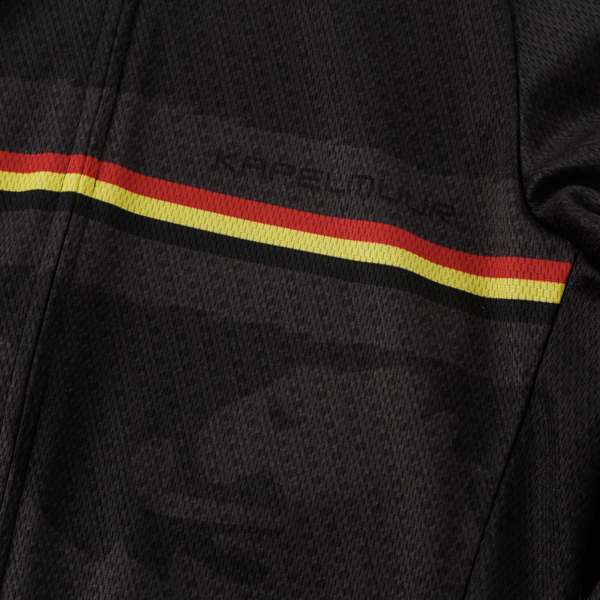 This jersey's hems have no elastic for casual cycling use.